If you want a pedal that's the best bang for your buck, we recommend going with the JamMan Solo XT (check price on Amazon). It's a great affordable looper pedal that does its job well. 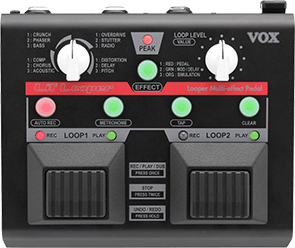 And if you're looking for a high-end looper, the VOX VLL1 Loop Station (check price on Amazon) is your best bet. This is a high-tech pedal that's great if you're a touring musician and play in different venues every night -- due to its built in effects, you won't have to carry as much equipment around! It's a pedal that saves space. There aren't any shortcuts to becoming a better guitar player, but plenty of tools to help you along the way. Whether you’re a seasoned vet looking to add some depth to your live playing or a beginner trying to play by ear -- the best possible weapon you can have in your arsenal is a great looper pedal. 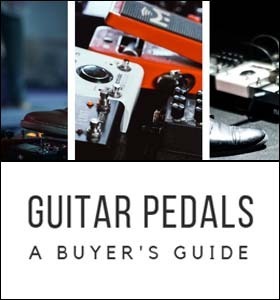 We're going to walk through what looper pedals are, why you need one, and your best options depending on how you plan to use your looper. Great pedal for casual players. Has three loop modes held in memory and simple mode swapping. Supports half-speed playback, awesome for developing guitarists. Great value. Features 6 hours of recording and 99 loops that can be stored in memory. Has a "tap" tempo setting option. Allows up to 200 recordings, more if you put in a 32 GB Micro SD card. The JamSync feature is great when playing with multiple players. Contains two pedals that each control two independent loops. Incorporates "bonus" effects such as Overdrive, letting you carry less gear! The ultimate looper pedal that blows its competition out of the water. Incredible sound quality. Contains a tuner and various effects. The perfect companion to your top of the line amp and axe set-up. Astounding build quality. It contains three different recording modes. Put Your Looping Into Action! 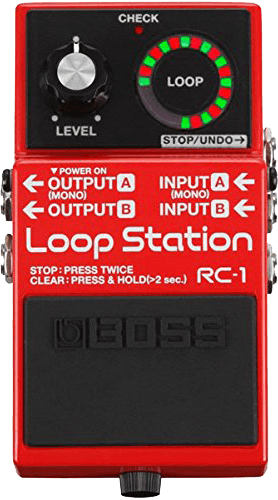 In the most basic sense a "looper" is a guitar pedal that records musical phrases from an instrument and plays them back to you. This means you can record a catchy bass-line or some riffs and then play along endlessly to the rhythms and songs you’ve just composed! By adding a looper to your daily practice sessions you can develop a better sense of rhythm. Not only that, but you'll definitely have more fun since you won't be mindlessly plucking away at your guitar any longer. 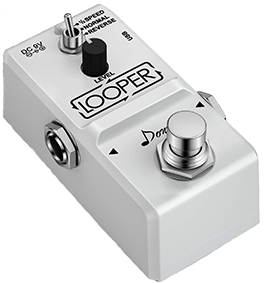 What makes a looper an essential addition to your pedal box is the way it meets the needs of all categories of players, across all genres. You can record multiple loops and then overdub them, giving your performances a layered richness that would otherwise only come by adding some extra musicians playing there with you. It also helps out in the studio, since you can record chords, riffs, licks, or solos, and then loop them to come up with extra phrases and melodies. 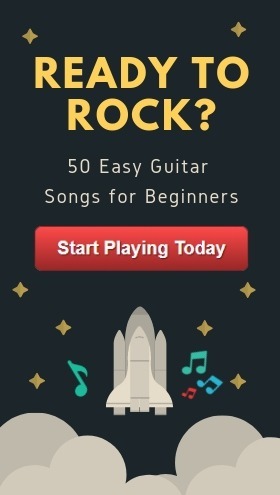 Who knows, maybe you'll go a step further, flesh out your melody, and make a fully featured song -- all with just one guitar in hand! That's the power of the looper. This means your creativity never again has to be interrupted by PC or smartphone software recorders, until it comes time to put pen to paper and get the composition down of course. Using a looper to its full potential will make you a more efficient guitarist -- and if you're up for it, a stronger composer in the long run. Even if you have no interest in writing your own tracks, a loop pedal is still a fantastic improvement tool. By controlling playback options and speed through your looper you can slow down and break down some complex riffs and work your way up to full speed. Breaking down songs, or "reverse engineering" them, is an extremely effective way to practice. Once you think you’ve nailed the piece of the song you've been practicing, you can record it and listen on the fly while keeping an ear out for your mistakes. This way you can record, tweak, record again, and then practice along endlessly until your cover is just right. Unlike most other pedals that handle specific effects and aren’t entirely necessary (let’s be honest, not everyone needs a fuzz pedal), the functions of a loop pedal are actually quite generic. At its core, all it needs to do is record audio and play it back. 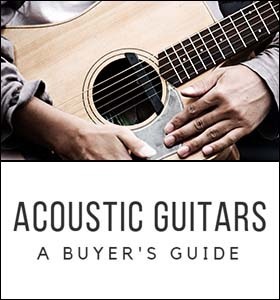 If that’s all you want, then the cheapest option off the shelf of your local music/guitar store will do. However, due to its versatility as both a practice and gigging tool, I highly recommend you buy the most feature complete model you can afford. The more switches and options it has, the more likely it will be to carve out a permanent home in your pedal box both at home and on the road. If you cheap out on basic functions like playback speed control or reverse playback you might wish you bought something better later down the line. Remember, buy it nice or buy it twice. As with anything music related, it’s crucial that the pedal has high enough sound quality to accurately reflect the notes that you’re strumming out. Any distortion is going to ruin your tone and mask any inaccuracies in your playing; this makes it rather worthless both live and as a practice tool. 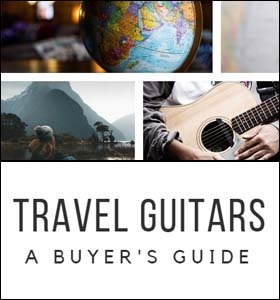 If you only play at home to learn your favorite songs, however, this might not be a deal breaker for you. But for anyone who’s trying to take the jump to the next level as a performer/professional, this should be one of your highest priorities. Make sure playback is accurate and you’ll get much better, much faster. This is a more divisive category among loop fans, but I’m of the opinion that it’s always better to be prepared. Whether you’re recording rhythm or lead sections there’s always the chance that you might play/record something you’re truly proud of. This is when you'll start wishing you could back it up and keep it safe. Unfortunately, many looper pedals out there today don’t have on-board storage. Much like RAM in your computer, once it loses power it loses the data. Thankfully, there are models that can record to SD cards. Some even have USB ports for easy transfer to your computer, so this is a handy little feature to look out for. Some riffs and solos can be endlessly complex. The key to getting these dialed in is repetition, consistency, and the ability to control playback tempo. Having the ability to control your playback tempo allows you to break down difficult sections and find all the subtle flaws in your playing. It's definitely a useful feature -- even more so if you’re self-taught or practicing alone. With no one keeping tabs on your progress, it’s up to you to be vigilant and keep an eye out for errors. If you don't fix a technical error or wrong note while practicing, it can persist and develop into a bad habit that's incredibly difficult to break. That being said, these three core things I just mentioned are ones you absolutely want to have with your next loop pedal purchase (although this list isn't exhaustive). There are features like tap tempos that can be "nice to have" but aren’t necessarily essential. But ultimately, the needs of professional touring musician are different from the casual weekend warrior. So without further ado, let’s take a dive into some great options for your next looper. The RC-1 is probably the most feature complete pedal in this price range that you can reasonably justify purchasing for simple home use. It has three loop modes that are all held in the memory of the device, and the order in which you play through them can be set with the on-board switches. This gives you great flexibility without having to set it up from scratch each time. On top of that, it has a handy little tempo light for the loops you’re playing through, giving you a great visual indicator for how far along you are. This pedal is quite good by the standards of any user, but what’s holding it back is the slightly disappointing 5-hour battery life. It’s fine for casual use, but something that'll quickly become frustrating if you’re taking it on the road. Ultimately, this is on the premium side of our “bedroom” scale since it looks, feels, and sounds great. I’d recommend it if you can justify the purchase. Even though this little guy isn't going to blow you away, the Donner Looper is a solid, reliable pedal that comes in at a compelling price. On the playback side of things it sports the "half-speed" setting. Having the ability to slow down your playback can be pretty significant/important if you want to quickly develop as a player. It also has a reverse option. Although reverse is less important in the grand scheme of things this model doesn’t skimp on features that its price appropriate competitors often do. We can confidently say this pedal has great value. If you opt to buy it I highly recommend you also grab a dedicated power supply just for this pedal and not daisy chain it to the rest of your board. Don't do this and you run the risk of experiencing some nasty interference that'll quickly have you regretting your purchase. Despite that minor setback though, you’ll be more than happy with the connectivity and performance options this pedal provides. As an added bonus, it'll make your wallet happy too! 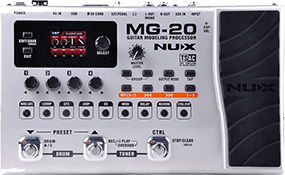 Our first big jump in terms of features and performance comes with the Nux, as its "Loop Core" essentially covers all the must-haves for this category of pedal. 6 hours of recording time might sound laughably extreme, but considering it can save 99 different phrases/melodies in memory this can come in handy. You can confidently store this looper and sleep at night thanks to its USB backup option. 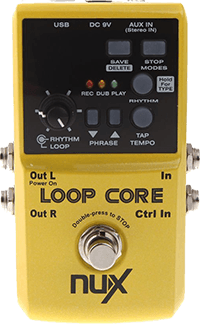 Aside from all the standard features, the Loop Core really stands out from the competition thanks to its tap tempo function. This is the first pedal on the list that offers a tap option for setting your tempo. It also does a reasonably good job at emulating some drum beats for you to jam out to. 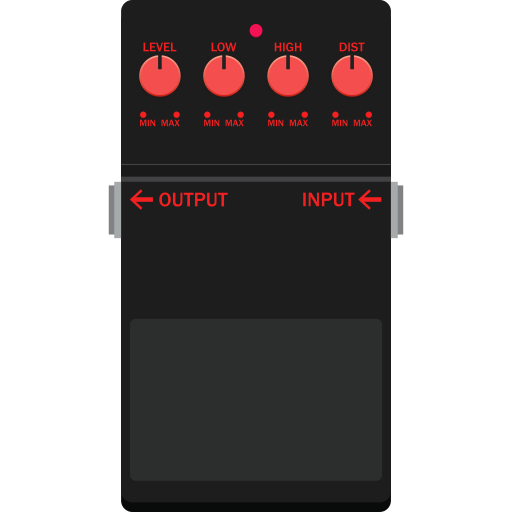 Sure, this looper is rather generic, but for mastering your fundamental rhythm and chord progressions while playing to a live beat, they’re more than good enough. If you’re one of those players who gets together with their friends to improve their skills weekly, then this pedal is the perfect option for you for one simple reason: JamSync. JamSync is a fantastic feature that allows different looper pedals to connect to one another. 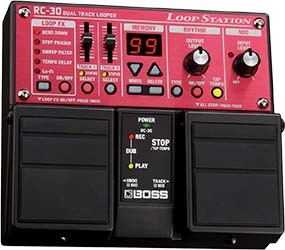 This lets different players record their own loops and have the playback stay in perfect sync with all of the other connected pedals. While JamSync is by far one of the most compelling reasons to opt for this particular pedal, it’s not the only one. It allows up to 200 recordings that can hold up to 35 minutes of audio. With even more storage space added (i.e. you throw in a compatible 32GB Micro SD card), this looper can do really well. To top it all off, the sound quality is absolutely stellar and will appeal to even the most discerning ears. "The more buttons, the better the tech." Same can be said about pedals. VOX ran with that logic and incorporated two pedals on their VLL1 that control two independent loops. That means you can add some greater depth and complexity to your playing, great for that next big gig you have coming up. Not only that, but you can also sync them up to a tempo, to keep things on time and sounding great. Now, if you’re a touring musician or just play different venues every night, you know that lugging a bunch of different gear around town is never fun. Thankfully, by opting for this pedal you get a bunch of its built-in effects (such as Overdrive). This saves you space in the long run. Our penultimate premium option has everything you could ask for. 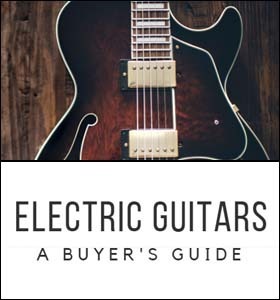 With three switches that control the drum beats, play and record, and stop functions, you’ll never have to take your hand off your guitar again. Not that you’d want to, since while it’s hooked up to the pedal you have access to a tuner, different effects like the crowd-favorite “wah”, and even an on-board mp3 player that you can tap into via an SD card to play along to every piece of music ever recorded. All that wouldn’t be worth much if it didn’t perform though, but overall, this option blows every other competitor we’ve seen out of the water in terms of sound quality. Every recorded sound is amazingly true to life and carries you through any venue anywhere in the world without a single worry. If you’re willing to shell out big to accompany your top of the line amp and axe set-up, the Boss RC-30 is exactly what you've been looking for. This is probably overkill for all but the most committed loopers, but in everything that it does, it’s great. To start off it'll survive the hardest punishment you ask of it thanks to its astounding build quality that’s backed by an equally impressive 5-year warranty. Its greatest selling point, though, is that it has three different recording modes. You can control the recording on demand if you’re in a more controlled environment, but in a live context you can even select the auto-record or opt for a measured count in. It's a process that helps you fine-tune the timings of your performance, giving you tons of flexibility in how you use it. Ultimately this is literally one of the best gigging loop pedals with the greatest durability. On top of the durability it also comes with a ton of high quality cables to hook up to your guitar and amp. While you probably have a million of those already, it's nice to have some spares lying around for one-time things get lost in transit. A loop pedal is one of the most important additions you can make to your pedal box. It’s a versatile piece of equipment that can help you train your ear to play more accurately, or to just put on compelling solo performances full of depth and multiple layers. 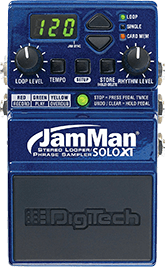 The pedals I’ve listed won’t steer you wrong no matter which direction you choose to go in, but for the best bang for your buck, I recommend going with the JamMan Solo XT. Still, as it stands, even the cheaper options are great; I need to go out, pick one up, and get looping!